Atlas Shippers International is a popular cargo forwarder. It is not subject to sanction by the PSB-DTI. Balikbayan box. Just in time for the holiday. Pinoys can bring home balikbayan boxes worth P150-K tax free. MANILA, Dec. 22 — Just in time for the holiday. Pinoys can bring or send home balikbayan boxes worth P150-K tax free. Starting December 25, balikbayan boxes with values not exceeding P150-K will be exempted from paying duties and taxes. This was confirmed by Bureau of Customs spokesperson Neil Anthony Estrella at a press briefing in Malacañang on Tuesday. An administrative order by the bureau lifts taxes on balikbayan boxes for qualified Filipinos while abroad, including citizens who are residing abroad, holds student, investors, and tourist visas. The order clarifies that balikbayan boxes shall contain personal and household effects only, and content should not be in commercial quantities or intended for sale. Also, the availment of this privilege is limited to a maximum of three times per calendar year. The lifting of taxes on balikbayan boxes is seen to bring more business to forwarders. This entry was posted in GLOBAL PINOY, VIDEO and tagged Balikbayan box, Featured, OFW. Bookmark the permalink. Since this post is too graphic, we advise caution and discretion in viewing with adult supervision. And check-out the videos below the post text. 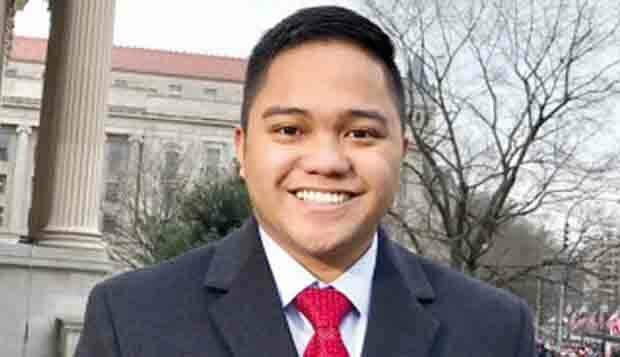 Bicol’s man in Washington Ninio Fetalvo, is he on the way out, too?